It is the time of year when the shadows draw near, the veils between this world and the next thin, when darkness becomes dominant, night hours become longer, the ancestors and our beloved kin on the other side gather near. I’ve been waiting all year for the Marigold medicine to bloom- one of my deep plant allies, from the day we met. She holds a light in the darkness, she dispels the black clouds of gloom, she helps us to walk between the worlds with faith, with gentleness, patience and skill. She adorns the altars and graves of our beloved ancestors at the Day of the Dead, and is used to open the mind/consciousness to alternative states of perceiving the world, our heart, and spirit. I have been walking both at dusk and early morning – to greet and honor the sun and the coming dark- and Moonflower blossoms attended by hummingbirds fill these walks with countless blessings, that I am only beginning to fathom. There is so much shifting energy within me, and in my life. Callings for deeper ceremony, stronger connection, stepping into my calling in a bigger way, without fear, without hiding. bejeweled leaves, in a ravine full of golden light- nothing you can do but smile, and laugh with glee. Who doesn’t need that kind of medicine in their life? Glee medicine in my apothecary steeping and drying makes me giddy. I can hardly wait until those jars are complete and ready to share! 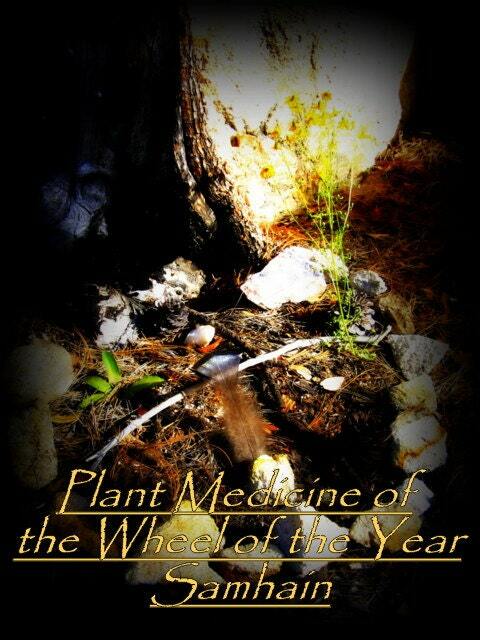 If you’d like to find out more about navigating your own shadows with help from the plants and the Earth, how to use Marigold medicine, and the natural cycles associated with this time of year, you will want to make sure to get the Samhain Weaving the Wheel of the Year package– a lesson on plant medicines for this time of year, Earth cycles and nature awareness, journaling and practices to attuning the seasonal shifts in the world around you and in your own body and spirit. In addition you receive herbal medicines in the mail to help you do this work – including some of the amazing marigold medicines I’ve been busy making this month! or at Poppyswap or Etsy.